Feeling "trumped" lately? Yeah, we know the feeling. With the 2016 election beyond us, and a new administration among us, health care reform and policy advocates are split between the two worlds of what's now and what could be. "The Senate Monday cleared the final hurdle to passage of broad legislation aimed at boosting federal funds for biomedical research and speeding up government approval of drug and medical-devices, a goal pursued by the pharmaceutical industry over the objections of some consumer advocates," reports the WSJ. Monday’s vote easily cleared the needed 60-vote threshold to advance the bill, but showed some scattered opposition in both parties. Eight Democrats, four Republicans and one independent opposed advancing the bill, including Chuck Schumer (D., N.Y.) who will be Senate minority leader next year, and Rob Portman (R., Ohio). Both were protesting congressional inaction on legislation to shore up health-care and pension plans for certain retired coal workers, who were courted by politicians during the elections. But those lawmakers so far haven’t been able to persuade GOP leaders to schedule a vote on the legislation. 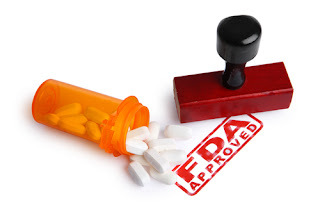 In conjunction to speeding up the approval process for the Food and Drug Administration, the bill also approves $1 billion in funding to prevent and treat opioid addiction and eliminate the length process for agency approvals for grants to treat mental illnesses. 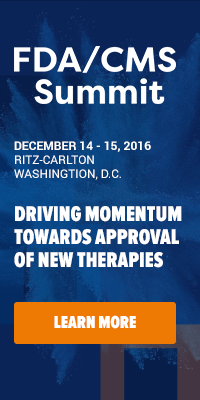 These topic, among a growing list of other reform and policy conversations, will also be a hot topic during the annual FDA/CMS summit in Washington D.C.
Our list of keynotes include health care professionals, drug reform and policy experts Janet Woodcock, John Coster, John Bardi, Cynthia Bens, Luciana Borio and Molly Burich.